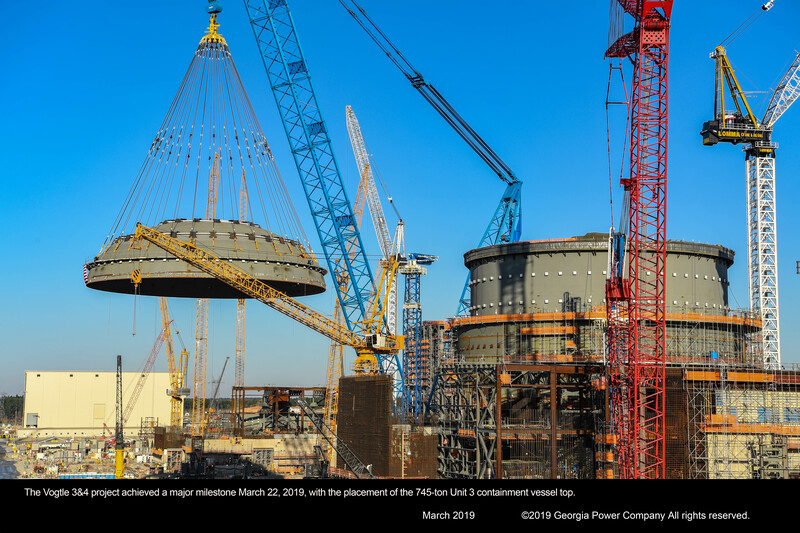 The construction of Vogtle 3 and 4 is the largest job-producing project in Georgia, employing approximately 5,000 people during peak construction and creating 800 permanent jobs when the plant begins operation. For more on the community impact, click here. 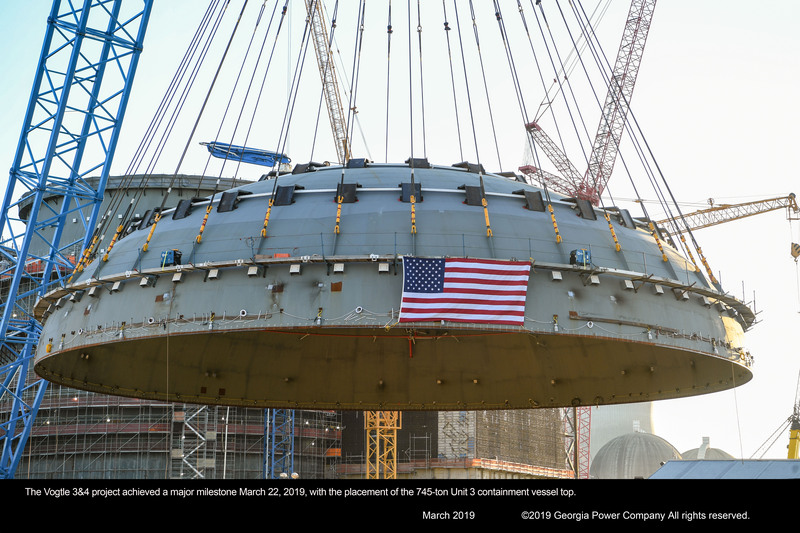 The Unit 3 containment vessel top head time-lapse video is now posted on Georgia Power’s YouTube channel. Here you will find B-roll of Plant Vogtle Units 3 and 4. You may download this video for use in your own packages. 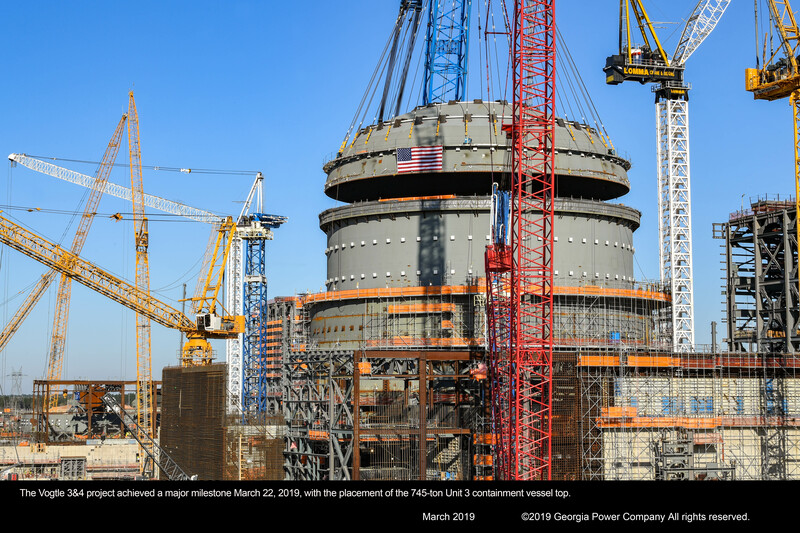 View the latest progress in this gallery that gives you an inside look at the construction of Vogtle Units 3 & 4. To download high resolution images, visit our construction photo archive below where you will also find more resources. View the images from today's event and use the thumbnails below to download high res versions. He announced that the DOE reached financial close for up to $3.7 billion in additional guarantees of loans. Energy Secretary Rick Perry announces loan closure while visiting Vogtle 3 & 4 site. 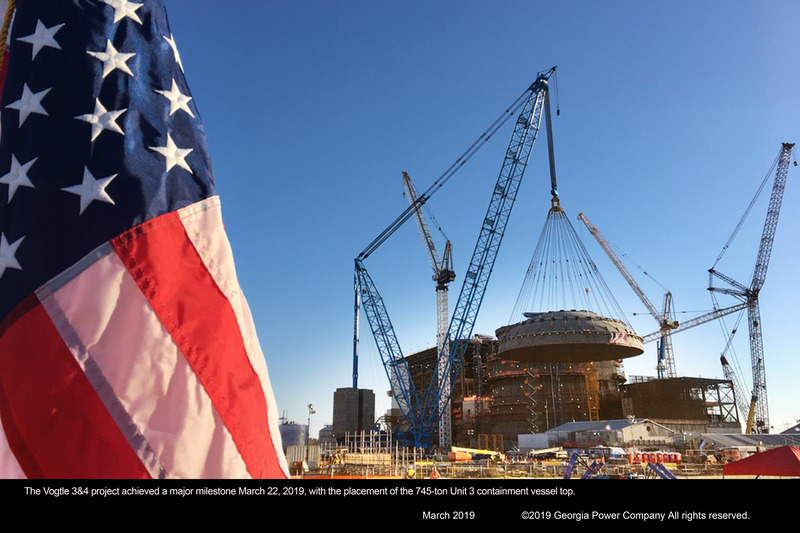 Keep up to date with the latest construction milestones, along with how Plant Vogtle's positive statewide impact is benefitting local communities.